Housing benefit at £24 billion a year is one of the costliest chunks of the social security bill. As the graph below (taken from this Declan Gaffney article) shows, it has risen 3.5 times relative to GDP since Thatcher was first elected in 1979. Writing an excellent article for Labourlist, Labour London Assembly member Tom Copley points out that the bulk of this increase occurred under the Thatcher government. 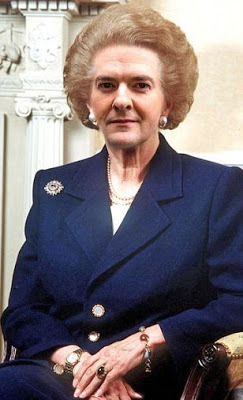 In fact under Thatcher, the housing benefit bill rose by a colossal 450%. Since then the cost of housing benefit has actually been pretty stable - so to address the mountains of moolah spent on housing benefit we have to understand why it shot up under the Thatcher government. Her government liberalised credit and gave tax breaks to buy-to-let merchants, which vastly increased the size of the private rented sector, as right-to-buy and stock transfers were depleting the social sector. Those policies also had the consequence of massively inflating house prices (and therefore rents) - which the constrained supply due to the absence of new building by successive governments, including the current one, has only intensified. Today 33% of just over 5 million housing benefit claimants live in private rented sector - i.e. not the social rented sector (councils and housing associations). And yet if we look at the largest claims - those over £200 per week (so over £10,000 a year) - we find that 68% of those claims are made from the private rented sector. These cases are only 3.3% of all cases, yet they account for over 10% of total housing benefit expenditure. Private landlords are guzzling from the housing benefit pipe because of structural reforms brought in by Thatcher. Measures such as the benefit cap will lead to councils deporting their own citizens, increased homelessness and poverty, but they will do little to tackle the rising cost of housing benefit - even if one could ignore their inherent injustice. To tackle the housing benefit bill, and to do so in a just way, a Labour government would have to build homes and cap rents - as Copley spells out for Labourlist. But he also makes the important point that the housing benefit bill would be reduced by tackling unemployment (something this government has failed to do), and by increasing wages through living wage campaigns. The latter is particularly important, since 93% of new housing benefit claims in the last two years have been from households in which at least one person works. That fact should also silence the 'better off on benefits' brigade, as so many people in work are dependent on benefits just to keep a roof over their heads. It's also imporant to note that money spent on housing benefit to council tenants is effectively just an administrative cost - from central government to local government and then back to central government. The next Labour government has a choice: invest in public housing and cap rents or keep shovelling taxpayers money into the expanding property portfolios of private landlords. But Labour can also be populist about this - pledge to cut the welfare bill at the same time. Here's more on how. MPs and unions today fiercely criticised an "unhealthily cosy relationship" between the Treasury and big accountancy firms that enables wealthy people and companies to avoid paying tax. The public accounts committee said that it was "very concerned" at the way the "big four" accountancy firms - Deloitte, Ernst & Young, KPMG and PwC - were able to exploit loopholes in the tax laws. It noted that staff were regularly seconded from these accountancy firms to advise the Treasury on technical issues when drafting legislation, only to return to advise clients on how to use those laws to avoid tax. This "insider knowledge" on changes to Britain's tax laws enables them to identify loopholes in legislation quickly, the committee said. Committee chairwoman Margaret Hodge said the practice represented a "ridiculous conflict of interest" which should be banned. "The large accountancy firms are in a powerful position in the tax world and have an unhealthily cosy relationship with government," she said. She warned that HM Revenue & Customs was engaged in a "battle it cannot win" in seeking to stem the losses to the exchequer from tax avoidance. It had far fewer resources than the big four firms which employ almost 9,000 staff and earn over £2 billion a year from their tax work in Britain. Left Economics Advisory Panel co-ordinator Andrew Fisher called for an end to the "revolving door between HM Treasury and the tax avoidance industry. "At a time when cuts are forcing millions into poverty and thousands into homelessness, the continued existence of the tax avoidance industry should shame any civilised nation. "Trade unions like PCS and Unite and campaigners like the Tax Justice Network and UK Uncut should feel proud that they have forced this injustice into the public glare." PCS general secretary Mark Serwotka said: "This cosy network around the Treasury and the big accountancy firms helps wealthy individuals and companies to deprive our exchequer of tens of billions of pounds a year. "This then helps the government to peddle the myth that there's no money for our public services." It seems a fitting tribute that on the day of Margaret Thatcher's funeral (sponsored by the society she denied existed) that grim unemployment figures emerged. Despite her election campaign prominently featuring that famous Saatchi poster 'Labour isn't Working', deploring unemployment breaching 1 million under Callaghan's Labour, she oversaw unemployment rise for her first seven consecutive years in office, and breaching 3 million. But back to today's figures: in the last 3 months, an extra 70,000 have joined the massed ranks of the unemployed (now at 2.56 million - higher than at any point under the last Labour government). Long-term unemployment (those without work for over 12 months) hit 900,000 - the highest level for 17 years. It's even worse for the young, the number of long-term unemployed 18-24 year olds (unemployed for over 12 months) is the highest since 1993. A few weeks ago I cut out an interesting table from the Metro newspaper - showing how the cost of essential items had risen in the past five years. The table to the left shows quite clearly how the unavoidable cost of several essential items has risen well in advance of inflation. Nearly four years ago, LEAP published some ground-breaking research on how inflation affected different income groups. The report Why Inflation is a class issue was published in conjunction the then newly formed Trade Union Co-ordinating Group. One of that group's unions - the PCS - has been on strike this week, with the decline in living standards one of the main issues in the dispute. Their general secretary, Mark Serwotka, told the media that his members had seen their incomes fall by 20% in the last five years - due to a combination of below inflation pay rises (including two years of pay freeze) and increased pension contributions (for a smaller pension at a later date). For the poorest in society - those on low incomes or surviving on social security - increases in the essentials hit hardest. Our 2009 research found that the poorest 10% spend 67% of their income on essentials, compared to the richest 10% who spent only 29% on essential items. This massive differential is the legacy of the Thatcher years when inequality grew, reversing the equalising post-war consensus. Many of the essentials - formerly publicly owned utilities - were privatised under Thatcher and now operate for the benefit of private shareholders, with only the lightest of regulatory touches. Their profiteering is evident in the table above, as households are hit by the rising costs of essentials like electricity, water, gas and telecommunications. The table above shows the reality for those facing a 1% cap on their benefits. Likewise the spiralling costs of rents and house prices are rooted in the selling off and failure to replace council housing, the abolition of rent controls and tax breaks for buy-to-let merchants. Whatever the origins though, the reality is that the poorer you are the harder you are hit by the seemingly unending rise in the cost of essential goods. In 2009 we called for a new measure of inflation - Essential Inflation - it is needed more now than ever, because the poorest are still being clobbered in a way that the headline CPI and RPI figures fail to reflect. In a society as grossly unequal as ours, no single inflation measure can reflect the true picture for UK households. Since 1 April, the benefit cap applies in four London boroughs: Bromley, Croydon, Enfield and Haringey, and will be applied nationally from 15 July. It caps the total benefits a household can receive at £26,000 (roughly equivalent to the median full-time wage). Instinctively many people – 62% according to an IPSOS-MORIpoll – favour such a limit on the receipt of welfare benefits. 1. It takes no account of need. Families are capped at £26,000 regardless of whether there are three, five or fifteen people living in the household. While many people seemingly disapprove of people having large families that are supported (often only temporarily) by social security, it is doubtful that equates to wanting the children of those families to suffer as a result. Many of those in-work households earning £26,000 or less also receive child benefit, child tax credits, working tax credit and housing benefit (93% of new housing benefit claims in the last two years are from households in which at least one person works). And so the out-of-work household is not receiving anything that a low income in-work household cannot also claim in the case of child benefit, child tax credit and housing benefit. If you add together total income – from benefits and work – it is, I would suggest, almost (if not actually) impossible for individuals in out-of-work households to be better off per capita than those in in-work households. 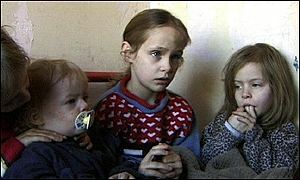 If benefits are capped, there are three obvious scenarios: a) the private landlord will benevolently drop the rent (this won’t happen as there is a housing shortage and the landlord could find tenants who will pay full rate); b) the family is forced out of their home and into more overcrowded accommodation or to move out of their local area (with bad consequences for the children’s education and the family’s local support networks); or c) their already low benefits are cut and their living standards drop. Over five million people currently claim housing benefit. In the last two years 93% of new claimants have been from household in which at least one person is working. Housing costs in the UK are so expensive that the state is subsidising even working households to pay private landlords inflated rents. We should be capping rents not benefits as this ‘Who benefits?’ flyershows. The welfare system in the UK is entirely means-tested. A tiny amount of fraud aside, people get what receive in social security based on their needs. Income Support – which you only get if you are a carer or a lone parent with a child under 5 (i.e. have caring responsibilities). Income support is paid at the same rate as JSA (see above). Carer’s Allowance – which is £58.45 a week to look after someone with substantial caring needs for at least 35 hours per week. So this is someone doing the equivalent of a full-time job for at best £1.67 per hour. Despite many politicians arguing in favour of a benefits cap, I have not heard a single politician argue that any of these benefits are too generous. Given all of these benefits are need-based and not overly generous then the argument that some people are getting too much is nonsense.